Keeping your appointments with your health care provider—HIV treatment is most successful when you actively take part in your medical care. That means keeping your medical appointments and communicating honestly with your health care provider. Want to take charge of your health care this year? Here are ideas for getting the most out of your appointments—before, during, and after you see your provider. 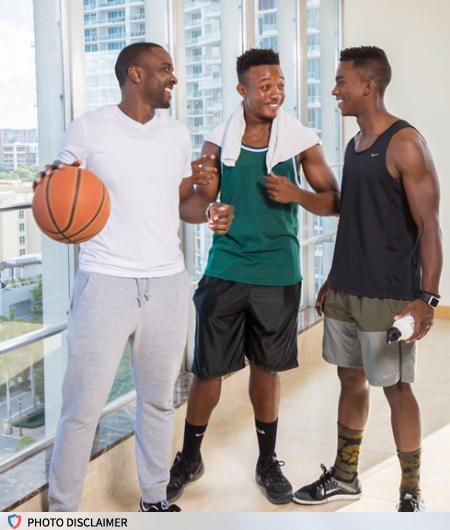 Exercising—Regular physical activity and exercise are part of a healthy lifestyle for everyone, including people living with HIV. Physical activity has many important benefits: it can boost your mood, sharpen your focus, reduce your stress, and improve your sleep. It can also help you reduce your risk of cardiovascular disease and other health conditions that can affect people living with HIV. Committing to get fit? Get more information and tips on regular exercise and physical activity for people living with HIV. Quitting smoking—Quitting smoking has major and immediate health benefits for tobacco users, including people living with HIV. These benefits include lowering your risk of lung cancer and heart disease, and reducing HIV-related symptoms. Learn how smoking affects people living with HIV and the benefits of quitting. For additional tools to help you quit, visit betobaccofree.hhs.gov or call 1-800-QUIT-NOW (1-800-784-8669) for free help.